I am a great fan of modern technology. Mobile phones, bigger fancier TV's and unnecessary gadgets that take longer to do the chore than just doing it by hand, all have a place in my life. The portable espresso maker for the car is on my wish list I must admit. Unfortunately for myself and this love of gadgetry, it is a very one sided love affair. Modern technology rarely (if ever) reciprocates my affections. As such computer wizard, Flyte so Fancy techno-boffin and all round electronic know-it-all, has stepped up to the plate and created some helpful bullet points and an informative video all about setting the VSB Automatic Door Battery Timer, which by my assertions is quite tricky, but with this helpful guide it is as easy as boiling an egg. To make adjustments press the program button (a diamond in a circle). A 'P' will appear under the hour display. This means the timer is ready for setting. The timer comes with default factory settings of opening at 8am and closing at 10pm. The timer will only open at your chosen time if it is light. That means if you set it close at 10pm and it gets dark at 9pm, the door will close at 9pm. Similarly if you set the timer to open at 6am and the sun doesn't rise until 7am, the door will not open. The buttons can sometimes be a little imprecise, so don't be afraid to give a button a good hard push. Don't use a hard object like a pen, just a firm push with your finger. Practise makes perfect with battery timers. Only use good brand-name alkaline batteries. Not rechargeables. They just don't have the same effect. For an in-depth walk-through the setting of a battery timer watch our video below for a visual step by step guide on how to set this really useful addition to the VSB Automatic Pop-Hole Door. For a more in-depth written guide on setting a battery timer have a look at page 8 of your instruction book provided, or as always we are on the end of the phone if you have any more questions, and while my Luddite sensibilities will probably be of little use, we have smart people abound here at Flyte so Fancy, always eager to help. Last weekend was lovely here in Dorset. The sun shone down, from a sky of such a rich hue of azure it looked like a tapestry of sapphires woven overhead. Whilst the chicken paddock was such a lush and verdant green it was like walking through the cloud forests of Costa Rica. As usual I have been overwhelmed with a whimsical sense of romanticism by the beauty of our corner of the countryside here in the Blackmore Vale. However, embracing brevity like a true friend, it really was beautiful this week down in the Flyte so Fancy chicken field. 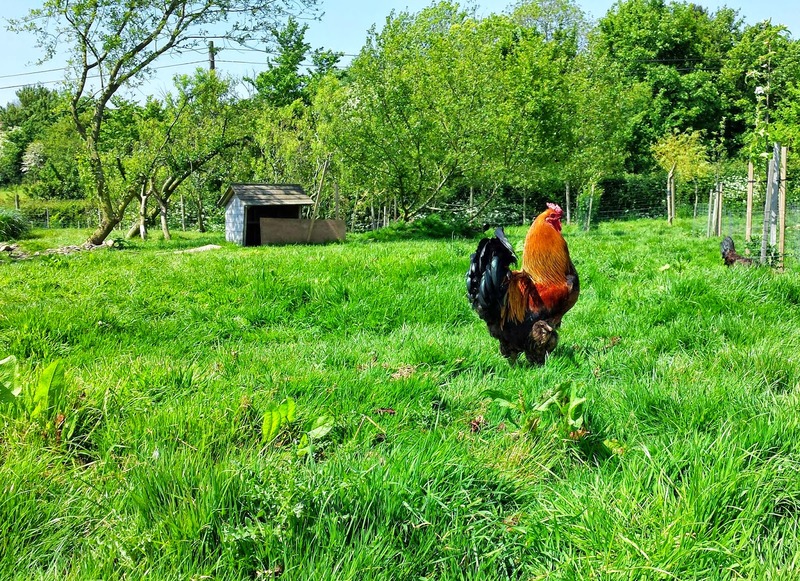 This weeks Blog is a selection of photos that we snapped whilst spending some quality time with our hens, ducks, geese, guinea fowl, and one of the most cowardly roosters you will ever meet, as they pecked around their chicken coops, played by the pond and stretched their wings in the sunshine. With a volley of showers forecast for the Spring Bank Holiday weekend, I will certainly be waiting for the sun to come out again so myself and the chickens can get out of our hen houses and back into the field. No doubt the ducks and geese will resolutely sit in the middle of the pond no matter how much rain falls. 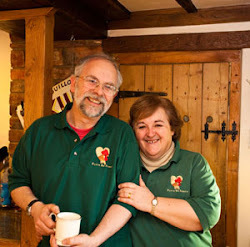 The Flyte so Fancy Blog and Newsletters (i.e myself) have been responsible for every now and then portraying the Boss Phill as somewhat of a mad bumbling inventor, tinkering away in his workshop, while everyone else does the actual work around him. Well, it is perhaps time for a little bit of credit where credit is due. I am ready to admit that occasionally (very occasionally) the Boss Phill comes up with some revolutionary hen houses for us to make here at Flyte so Fancy. In particular his range of highly movable chicken coops with wheels; the Dorset Stroller, the Dorset Ranger and the Gypsy Hen House. 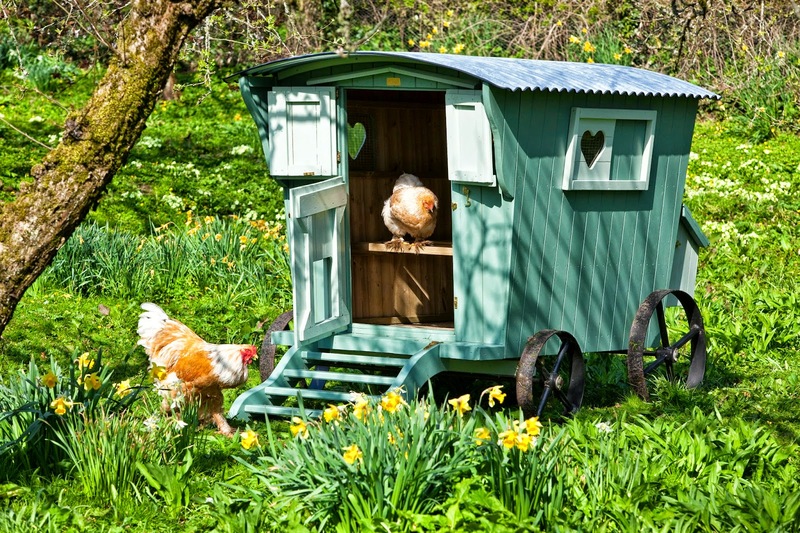 Hen houses with wheels are ideal for those with a larger garden or people who are just looking for a mobile chicken coop to fulfil their particular need. So, the Flyte so Fancy Blog turns its gaze to three highly mobile and incredibly practical chicken coops. The last of our movable hen houses is perhaps a little on the grand scale, however it does come with a fully functional heavy gauge solid steel wheels, The Gypsy Hen House. The Gypsy Hen House is the pinnacle of our ethos here at Flyte so Fancy and is desired by many poultry keepers up and down the country. Hand crafted using only the finest timber and fittings, with the choice of painting and decorating, the Gypsy Hen House also comes with wheels and axles, made by a local blacksmith. 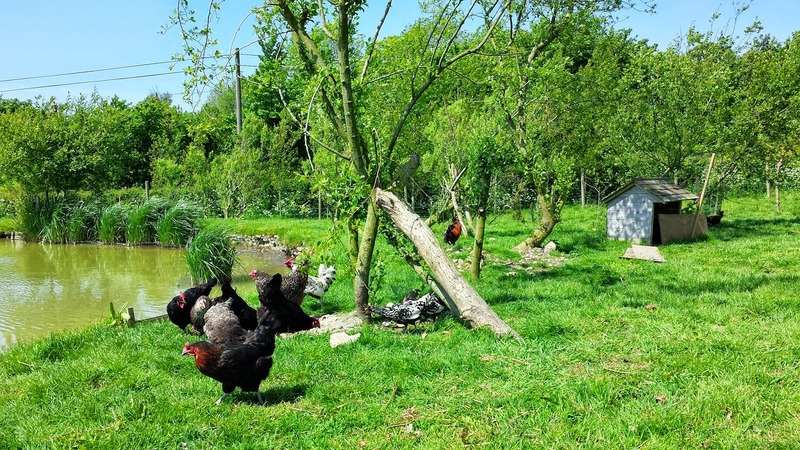 To steer and move your luxury hen house from place to place, it's merely a case of hooking the steel hand bar onto the front axle and heading off to its new idyllic spot. If you are looking for a movable chicken coop for a paddock or just want to move it around your garden to save the grass, the range of movable chicken coops from Flyte so Fancy are brilliantly practical, packed with all the expected features to make modern day poultry keeping simple and designed with the same stylish grace that the Boss Phill puts into all his chicken houses. There is also the option of adding an axle to an existing hen house, should it be compatible, to make some of our other chicken coops a little more manageable and movable. Having acknowledged that the Boss Phill really does design the best chicken houses that it will ever see, the Flyte so Fancy Blog will return to making fun of him, just as soon as it feels it is safe to do so. Ever since a young and impressionable youth watched the Adventures of Duck Dodgers in the 24½ Century, Daffy Duck has always been my favourite Looney Tune. You can keep your Bugs Bunnys's, your Tweetie Pie's and even your Foghorn Leghorn. When it comes to easily angered waterfowl, Daffy Duck is the best there is. This love of a cartoon duck has clearly continued throughout my life, as ducks continue to be my favourite all these years later. There is something enviably enjoyable about watching a duck bob around on a pond or hearing their mocking irreverent laughter echoing from the garden. As such, this week's Flyte so Fancy Chicken Blog turns its attention to what you will need for keeping ducks. The first (and perhaps most obvious) question about ducks, is water. 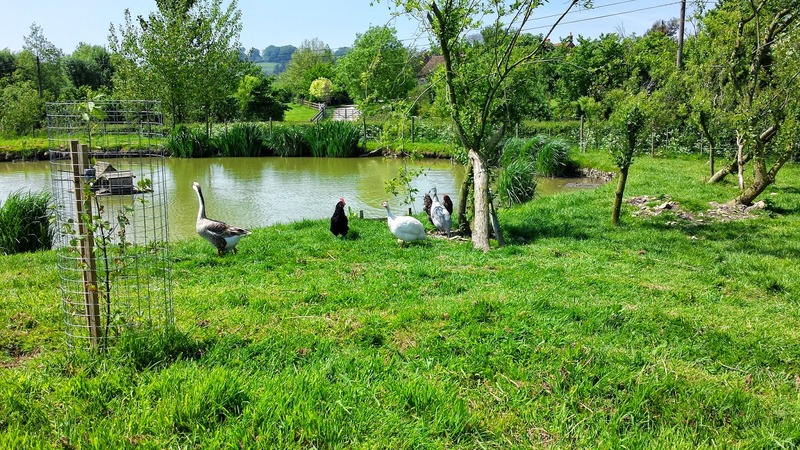 Here at FSF HQ our ducks and geese live down in the poultry paddock with our chickens, where we have a nice big pond which they happily splash around in. However how much water do ducks need? Well, they do need access to water, a small pond or kids paddling pool works well. They need access to this all the time, whether they are enclosed or roaming free. The ducks will clean their bills and feathers in the water so they do need something to dip their toes in. Anything larger than a washing bowl is fine as they need to be able to dunk their heads to wash their eyes. This is important. When it comes to duck housing there are a few different options. There are the smaller variety for putting onto floats and sailing out to the middle of a larger pond for predator proof duck islands. The second is the larger sort. Duck houses don't come with perches or nest boxes like a chicken coop would, as ducks are a little less fussy, but what they do need is plenty of room inside and a flat floor. Most breeds of duck require a ramp for entry as duck feet are designed for swimming not climbing, however some breeds such as Carolina's and Ringed Teal have no problems climbing. Otherwise making sure that the pop-hole is large enough for access (tall doors are especially necessary for Runner ducks as they don't like to dip their heads) and their is plenty of ventilation, the only other consideration is access for cleaning, as ducks do tend to be 'mucky' birds. A good absorbent bedding, like HempBed-E is a must. Ducks can share housing with chickens, but they need an area without perches inside the coop for themselves. There are specific feeds available which are aimed at waterfowl and have correct level of protein and nutrients for happy ducks. However, if you are putting the feed into a feeder you need to make sure that it is one with plenty of access. Unlike chickens who peck at their feed, ducks shovel it with their long flat bills, so you need a feeder that gives them room to make this shoveling action. Most people opt for a trough or tray. Equally with a drinker they will need this room for their bills to move. Even if your ducks have access to a pond it can still be a good idea to put out a source of fresh water for them to drink. The Galvanised Bucket Drinkers prove very popular as a drinker for ducks, as they cant get into it to make it dirty. Standing erect, Runner Ducks are unusual to look at, and run rather than waddle (hence their name). They have a tendency to lay their eggs wherever they feel like it, but they are a good layer, producing around two hundred eggs a year. Aylesbury Ducks are the classic white duck with a yellow bill, they are however slightly less prodigious at laying eggs (about a hundred a year) but wonderfully pretty to watch bobbing about. Call Ducks are small but noisy waterfowl. You will need to clip their wings to stop them flying away but are a petite and friendly duck and are great for small gardens. While not as prolific at laying eggs as chickens are, duck eggs are extremely delicious and come in some really wonderful shades of colour. For those of you thinking of getting a few ducks to waddle around your garden and have any more questions, leave us a comment, give us a ring for a chat or I can heartily recommend watching the Daffy Duck classic cartoon "Duck Amuck", just to see how much fun keeping ducks can be.